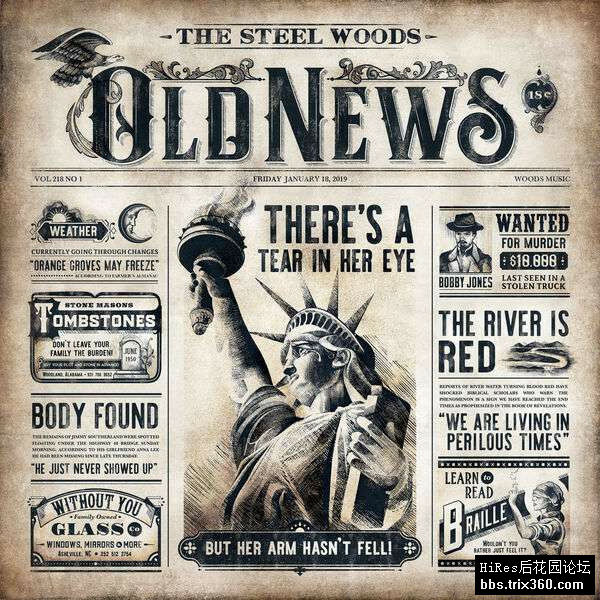 It sort of seems odd, on the surface anyway, that the Steel Woods would name their sophomore set "Old News," especially given the fact that they're relatively new as far as any senior status is concerned. Their 2017 full length debut, "Straw in the Wind," was released less than two years ago, while their 2016 eponymous EP that marked their debut only a short time before that. Old news? They haven't aged sufficiently enough to indicate that's the case at all.